Part 1: Sgurr Rhuadh, 966m. Sgurr Rhuadh, a fairly remote munro that requires a long walk-in. Thus, I hatched a plan, make the summit from Torridon, and stop in a bothy. Then wake up and climb Maol Cheam Dearg, from there, return to Torridon. I committed to the approach from the north because I stashed my heavier kit under an overhanging sandstone boulder. So my route had to be an out and back. So far so good. Despite there being no indication on the map, or the guidebook, there actually is a decent path up the ridge to the summit. I found it on the way down. Today’s walk was characterised by sharp, brittle clinking quartzite boulders. They are more slippery than they look. It’s not the quartzite at fault, it’s lichen. Oh, and frogs everywhere. Big ones, tiny ones but all with similar colouring. The colour scheme is the same idea, at some are more black than others. All keen to jump out of my way, all elbows and knees. 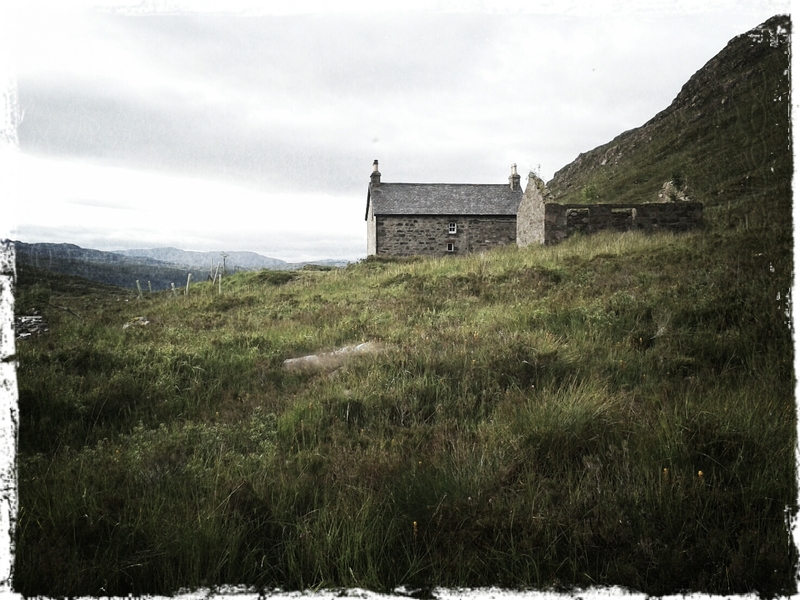 Eventually, I made it to the bothy. On the way stood an isolated sentinel stone, bright white with lichen. In that light, the owns in the structure could have been crafted by a 1960’s sculptor. It is far older than that. The bothy is an old crofters house, now owned by the estate and used as a mountain hut by the Mountain Bothy Association. Nevertheless, it looks like a good place to make up ghost stories. A few trees have been planted nearby, and as I plodded to towards, I was convinced that they were people by the house. The place was empty. In good condition outside, even the windows were tidy. Inside was all wood clad, in dark brown. These places are very sparse, Capel any furniture, not even bunks. You have to choose room and sleep on the floor. I picked upstairs facing the river. Now to settle in and find how well I have packed. 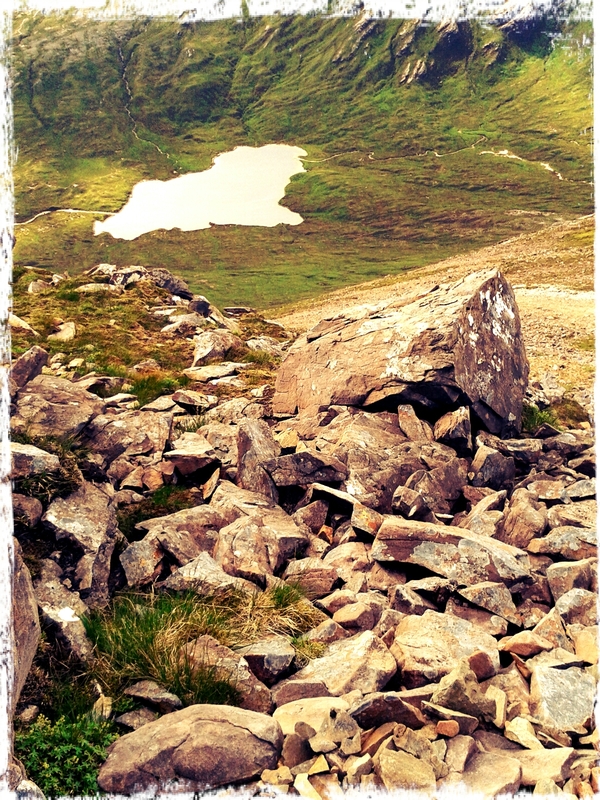 This entry was posted in Hiking, Quality Mountain day, Weather and tagged bothy, hiking, QMD. Bookmark the permalink.